Can One FC Save Asian MMA? It's been a long time coming for Asian MMA. The once leading Japanese MMA scene is struggling to maintain its footing, but elsewhere in Asia mixed martial arts is still showing great potential. Legend FC is the talk of the burgeoning mixed martial arts scene in China. Meanwhile, in the Phillipines, the URCC is nearing ten years of successful promoting. Now it looks like a potentially major mixed martial arts promotion is situating itself in Thailand, One FC. Thailand is a combat sports Mecca. Its fighting tradition goes back generations through its national sport of Muay Thai. In a country where people kick palm trees for fun, mixed martial arts is an obvious fit. 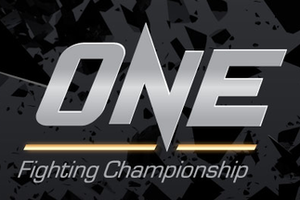 So, this new organization, One FC already has an established culture to build on. Additionally, One FC has sound business experience behind it. One FC CEO Victor Cui worked for Singapore-based sports network ESPN Star Sports. So, it's pretty obvious how One secured a broadcast deal with the network. Cui was also the brain behind another MMA promotion, Martial Combat, which hit the Thai scene hard with twelve shows last year, but unlike MC's jam-packed schedule, One FC will spread out its events to keep fan appeal consistent. Thailand has for long been a training getaway for Western kickboxers and mixed martial artists looking to hone their striking skills. Yet, the rise of MMA camps like Evolve MMA and Phuket Top Team are more permanent fixtures for fighters training in Thailand. These camps will provide a solid matchmaking base for One FC. One FC has a relative theme that, if promoted effectively, can appeal fight fans throughout the Asian continent. Their first event, "One FC: Champion vs. Champion," is built on the concept of pairing some of Asia's top fighters from various sports and nations against each other, hence the tagline - "Asia's Greatest Battle of Champions... 16 World Champions and National Champions will compete in Mixed Martial Arts to be crowned the best in Asia." The event is scheduled for September 3 at the Singapore Indoor Stadium. One FC seems to have all of its ducks in a row -- a culture of fighting, a broadcast deal, sound business experience, and most importantly, a theme for all of Asia. If One is consistent in its efforts and utilizes the "slow growth" model of promoting, they could prove to be the next big success story in Asian MMA.